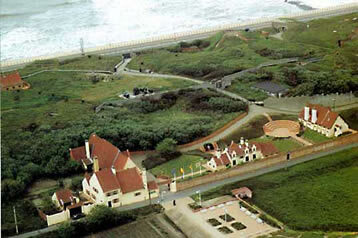 The domain of Raversijde consists the Atlantic Wall, the medieval fishing village and the memorial of Prince Karel. 3 museums can be visited separately, but one overall ticket gives you the opportunity to visit them on different days at a reduced price (ticket valid throughout the year and audioguides are included). More than sixty bunkers and trenches, looking exactly as sixty years ago! 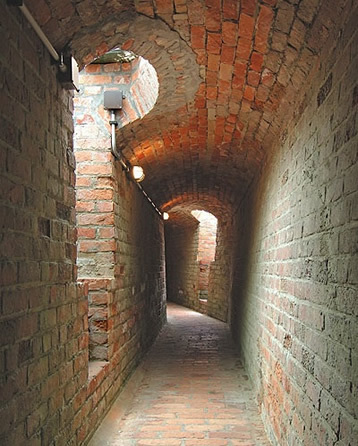 In the dunes of the former estate of Prince Karel, a unique historical site of modern fortification has been preserved: sixty constructions dating from both World Wars, interconnected by two kilometers of trenches and galleries. This remarkable site has been extremely well preserved, as prince Karel systematically prevented every demolition attempt. 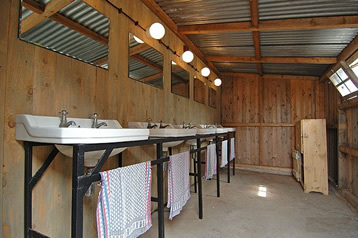 Two different tours are possible in the Open-air museum, each taking approximately 90 minutes. 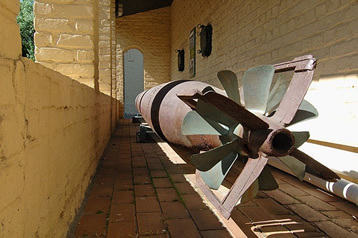 The first tour, focusing on the First World War, shows the Aachen battery (built in 1915). 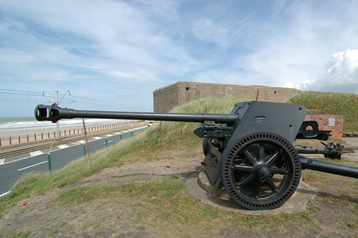 Most elements of this battery (the only surviving of its kind) have been preserved: two observation posts, four gun emplacements and a bombproof shelter. 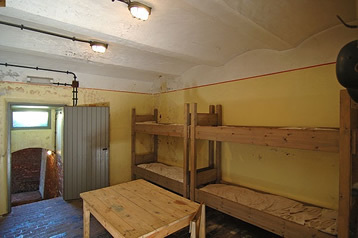 Furthermore, tourists also can visit the Stutzpunkt Bensberg, consisting of several men’s quarters and the necessary facilities dating from the Second World War. These constructions were used by a unit of military engineers (Pionierstab) who were in charge of the construction of bunkers. 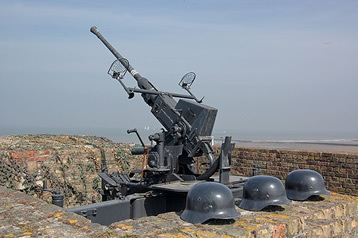 The second tour brings the visitors along the well-preserved emplacements of the Salttzwedel neu battery (1941), which was originally built to protect the Ostend harbor and was later incorporated in the Atlantic Wall. 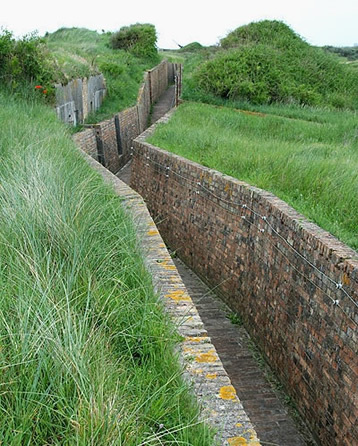 This site is one of the best preserved remnants of the Atlantic Wall in Europe. 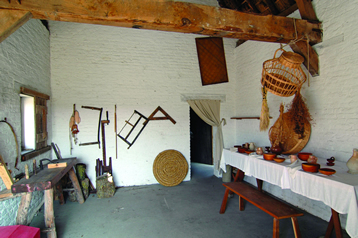 Many constructions in the open-air museum are still in their original condition and have been refurbished with authentic objects and furniture. The reconstruction can be seen as an example. 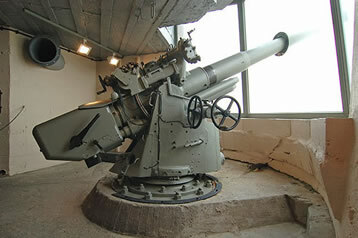 Light and heavy artillery and searchlights can be seen in their original locations. 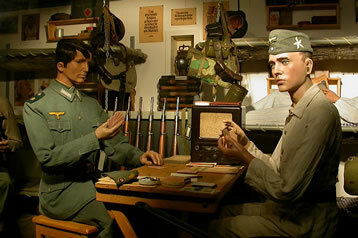 The every day life of the soldiers is evoked in true-to-life dioramas. 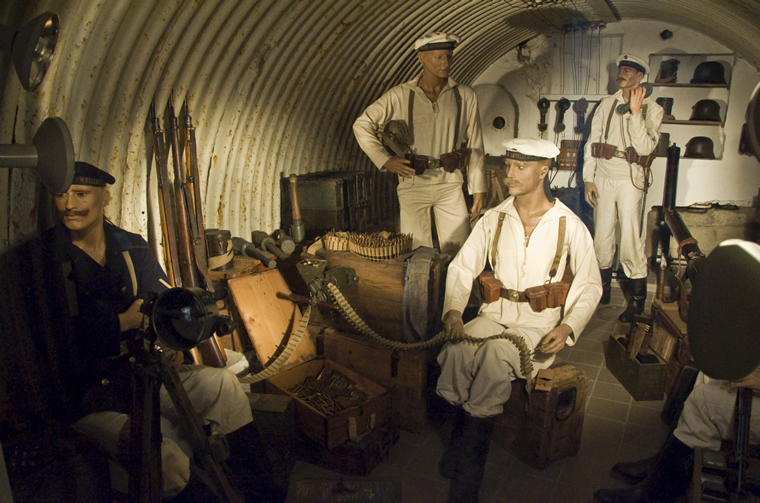 In this open-air museum you still can smell the atmosphere of the “Longest Day” as if it were yesterday. After 500 years a lost medieval fishing village lives again! 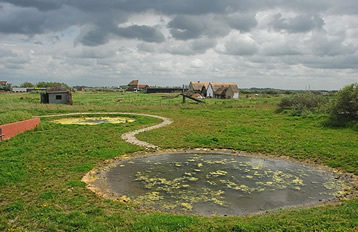 From April 1992 onwards the medieval fishing village Walraversijde has been excavated by the “Institute for the Archaeological Patrimony” in cooperation with the province of West Flanders and the Flemish Office for Employment. Starting with an audiovisual representation, the visitor can see the history of the Raversijde Domain reconstructed by means of virtual reality. Walking through the reconstructed medieval landscape brings the visitor to four fisherman’s houses: the house of a rich ship owner, the home of a fisherman’s widow, a tradesman’s house and finally the fish smokehouse and bakery. 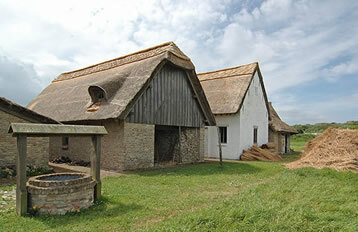 When building these houses, much depended on archaeological evidence to know how they had to look like. Moreover, these houses have been rebuilt using the original medieval bricks of the village. 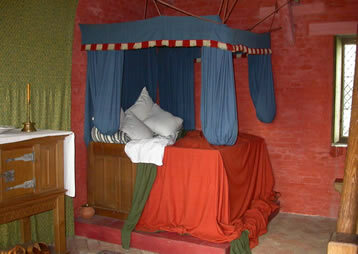 All objects that can be seen in the houses are true replica from recent findings. 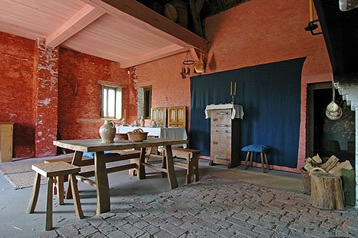 Thanks to the audio equipment, visitors are guided through the houses by the voice of medieval inhabitants Then follows an ‘experience of transition’ whereby the visitor passes through a dilapidated village house and is beamed into the archaeologist’s field cabin. A short distance further the excavation site can be found, exactly at the same spot where the four fisherman’s houses were discovered. Thanks to intensive research without time pressure, even the smallest traces like seeds and fish rests could be investigated thoroughly. And so the excavations provided a detailed image of the fishermen’s daily life, their houses and their occupations. The visit of the site is concluded with an exhibition in the museum building. Here, the original objects are put in their context with the help of the latest interactive techniques. The life of the medieval fishermen is reconstructed in a lively and educative way. Young and old can individually discover the living world of our ancestors. 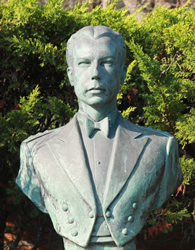 The aim of this Memorial is to keep the memory of Prince Karel (1903-1983), Count of Flanders alive. After the Second World War, the Prince was Regent of Belgium during six years (1944-1950). The Memorial is established at the place where he stayed from 1950 onwards till his death. The Memorial has been set up in several buildings that were used by prince Karel. 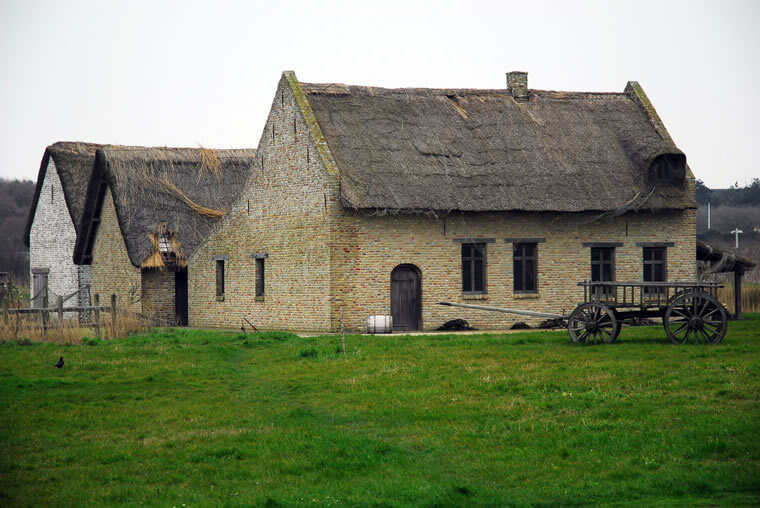 The Flemish Hall houses a biographical exposition. Special attention is being paid to his youth, his military service in the British navy (during and after the First World War) and to the Regency. Some paintings by the prince himself are also exposed in the Flemish Hall(signed “Karel van Vlaanderen”). The “Prince’s Pavilion”, a simple fisherman’s house dating from the nineteenth century, used by the Prince as his residence, has been refurbished in cooperation with the Civil List of the King. The original furniture of the living room received its former place, together with the many works of art and other souvenirs, giving the interior a personal character. The visitor can see his pallet, his golf sticks, Napoleon’s chair that was cherished by the Regent, the sculptures made by Queen Elisabeth and a portrait of Leopold II that was decorating all residences of the Prince. 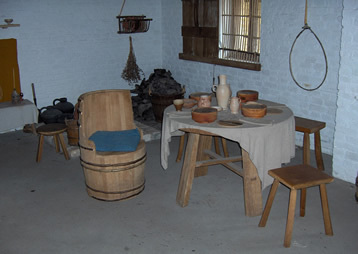 In the kitchen, the Prince’s favorite place to paint, the royal kitchenware has been given back its original location. Following the restoration, the interior got back its colorfulness and many visitors will be surprised when discovering the special atmosphere of the house. Program and data may change, so please always check with the museum to avoid disappointments.